The school is situated in a modern building next to a beautiful stone church. Our classrooms are located on the first and second floors of 'The Stone Yard Centre'. Classrooms are equipped with interactive whiteboards, and there is a small library at the school where students can borrow books. We have computers and a printer for students to use, as well as free wifi. In our common room on the first floor, students and staff enjoy chatting together during the morning coffee break and at lunchtime. Students can buy drinks and biscuits, and there is a fridge and microwaves for students to use. 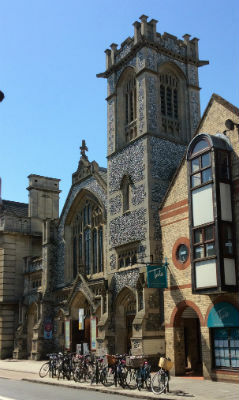 Information about excursions and activities in and around Cambridge is on display. On the ground floor there is a cafe where students can eat lunch. Also downstairs is the school office and extra rooms used by the school during busy periods. 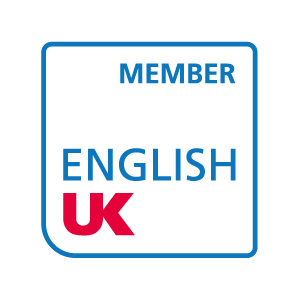 'The British Council inspected and accredited Central Language School Cambridge in April 2017. The Accreditation Scheme assesses the standards of management, resources and premises, teaching, welfare, and accredits organisations which meet the overall standard in each area inspected (see www.britishcouncil.org/education/accreditation for details). This private language school offers courses in General English for adults (18+). Strengths were noted in the areas of quality assurance, academic management, care of students, and leisure opportunities. Central Language School Cambridge is a registered Charity, with a board of Trustees who act in an advisory capacity. The School Principal is responsible for the day-to-day running of the school. Our Charity Registration number is 1056074.